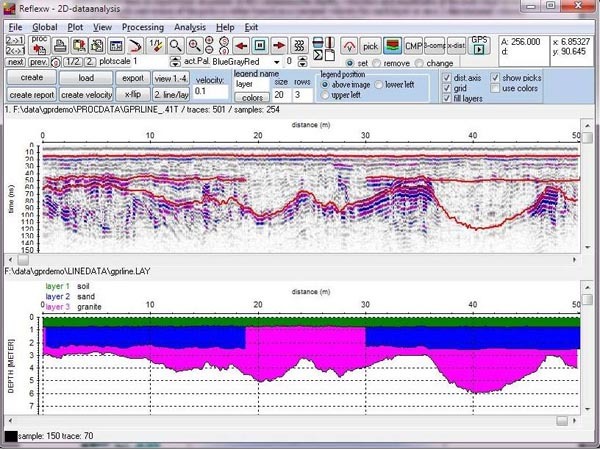 Seismic Refraction Tomography software that allows reliable imaging of subsurface velocity structure including faults, strong lateral velocity variation and other velocity anomalies. The tomographic data interpretation is based on physically meaningful modeling of wave propagation with wave paths instead of conventional seismic rays. This increases the numerical robustness of the inversion, especially in low coverage situations. An initial 1D gradient model is determined automatically directly from the traveltime data. The initial model is then refined with true 2D WET Wavepath Eikonal Traveltime tomography processing. Also, the software allows interpretation of traveltimes with conventional Plus-Minus and Wavefront seismic refraction methods. 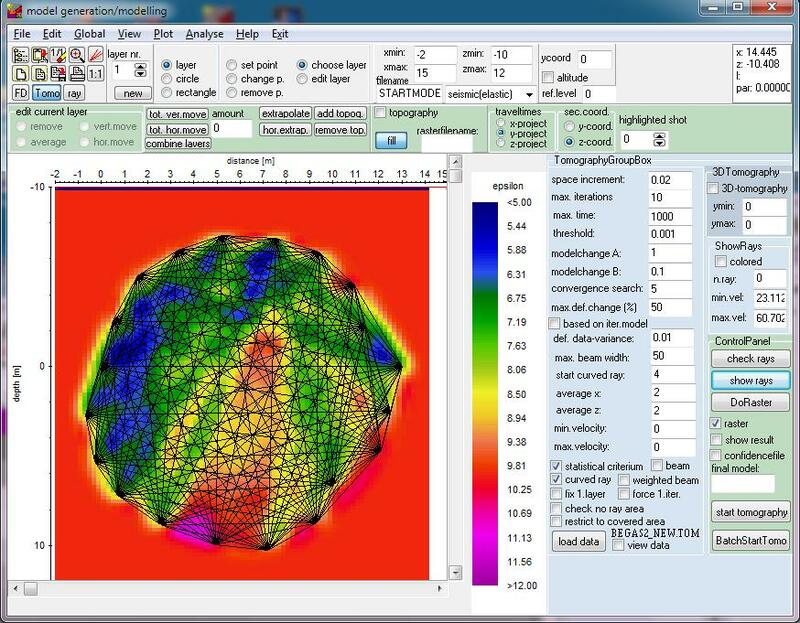 Supported Operating Systems: Rayfract® is a windows 32-bit application that runs fine under windows 7, 8 and 10 64-bit. The software works with a hardware protection key (CodeMeter USB dongle). For more details, please have a look at the brochure available HERE. 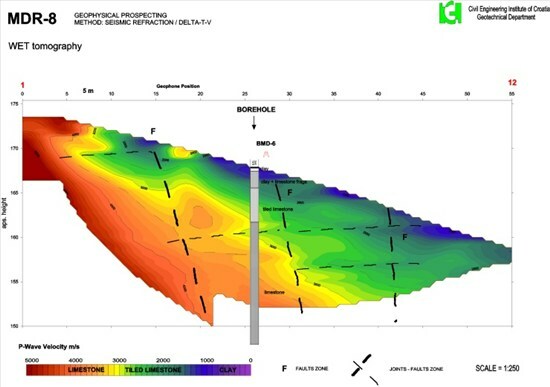 Software application based on refraction tomography, reflection seismic and GPR - Ground Penetrating Radar. Supported Operating Systems: windows XP, 7, 8, and 10.